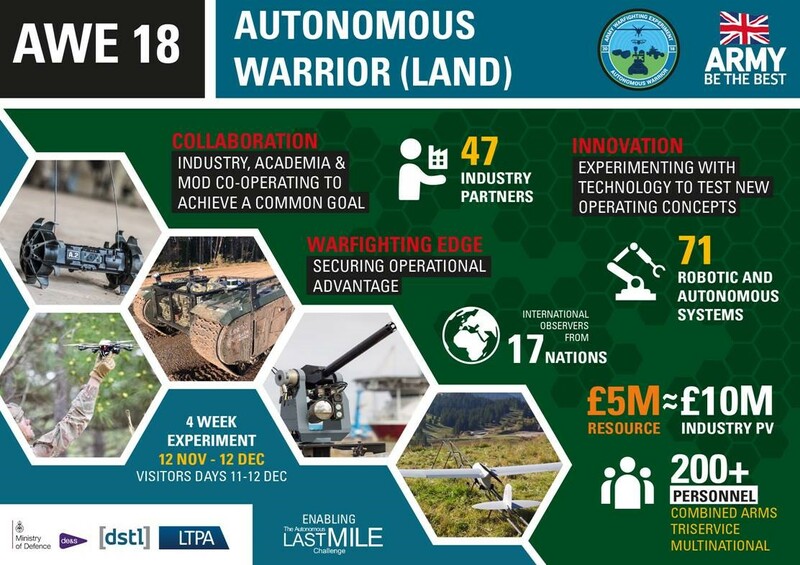 Beechwood Equipment have been involved with AWE 18 over the last few weeks providing equipment from FLIR, Recon Robotics and Droneshield all being thoroughly tested and evaluated by The British Army. 50 products were chosen to be tested and AWE18 is now midway through its four-week exercise. The 1st Armoured Infantry Brigade (United Kingdom) is providing the exercising troops and taking responsibility of command and control. British soldiers will test the effectiveness of robotic and autonomous systems (RAS) on the battlefield. These technological advances will play a key role in the Army’s strike capability, ensuring British forces remain unrivalled with its capabilities in this field . Autonomous Warrior will develop capabilities in surveillance which will greatly improve the effectiveness of long-range and precision targeting by service personnel. DroneShield with Beechwood have taken an active part demonstrating how to fight back against drones with rouge drone detection and the capabilities to disable drones that are detected.